Leap Motion has provided developers with a do-it-yourself solution to build an augmented reality headset with its Project North Star. However, a self-proclaimed “AR wonk” is using the blueprints to go even further with the development of an untethered type. NOA Labs research and development project manager Noah Zerkin recently unveiled a picture on Twitter that shows a mobile computer, which uses a Windows 10 motherboard and includes a battery pack in a cardboard enclosure affixed to a shoulder strap. 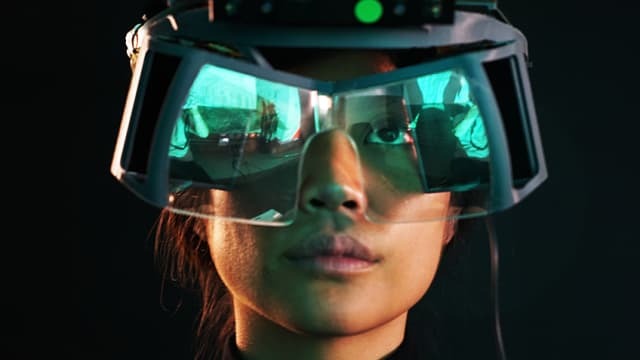 According to Zerkin, the computer sends out the AR content using the headset design, giving it a spatial computing interface and wide view field using the Leap Motion’s motion controllers and reflective LCD displays. Zerkin carried out a sample scene through Unity using the makeshift computer pack, but he also wants to test Project North Star as well as Occipital Structure Core for rendering multifaceted 3D content. Of course, Zerkin’s design is unlikely to pass dust or water resistant standards. He also said the chances of it spontaneously combusting is unlikely. He said high temperatures don’t cause paper or cardboard to spontaneously burst. Instead, an open flame is necessary for that to happen. He said he solder the top of the cardboard. If the CPU overheats, it shuts itself down before the box even gets a chance to get too hot. Zerkin has worked on other innovative Project North Star related projects. He recently started shipping mass-produced lenses for the headset design. Zerkin partnered with EPPOSUN to mass-produce injected-molded lenses. Those lenses have a price tag of $40, which has helped to reduce the cost of materials for the DIY Project North Star headset to the $100s. Zerkin said it’s the development of the reflective lenses that have hindered many DIYers in creating their own headsets. He said many people have spent $200 and up to get uncoated reflectors using a huge acrylic block. Some have been quoted $400 to get them coated with half-reflective silver mirroring and anti-reflecting coating to stop the lens’ outer surface from causing a secondary reflection. The efforts Zerkin has made has lessened the appeal of Project North Star with DIY and AR enthusiasts, especially for people who want to save money. Even still, Zerkin’s latest venture still needs the power to ensure complex 3D content turns into augmented reality. While this is something that Magic Leap and Microsoft can handle and develop, the AR hardware industry is still unable to shrink packaging down that would be worthwhile to the ordinary, average consumer.